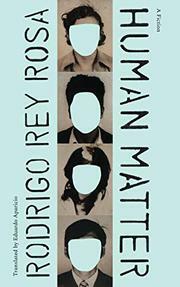 Somber, allusive story of his native country’s troubled past by Guatemalan exile Rey Rosa (Chaos: A Fable, 2019, etc.). The human matter of the title is not just corporeal, although the events Rey Rosa recounts in this slender novel have yielded mounds of corpses. It also includes the faint traces of those who were “disappeared” at the hands of the National Police, a body theoretically disbanded after peace accords were signed between the government and its guerrilla discontents in 1996. Among the names and facts that fill the narrator’s notebooks are a man arrested in 1941, well before such events began, for “recidivist loitering,” another for “shining boots without a license.” The police were there, always, to remove such miscreants from the streets, to say nothing of errant typists, drill operators, sawyers, and others who crossed the line. As he digs, the narrator asks questions of people who were affected by the repression of the regime and the guerrilla war alike; of one professor who narrowly escaped torture for his “subversive activities,” the narrator asks how it could be that the mostly illiterate Mayan peasants of the countryside could be assumed “to share the Marxist ideology of the revolutionary leaders,” a question that the professor finds “extremely unfriendly.” The archives themselves are unfriendly to researchers, as the narrator finds when volumes are brought to him with pages torn out, as if to hide the worst of the worst happenings from history. Secrecy lies at the heart of the story, manifesting itself in many ways, as when the narrator is asked to write about newly published diaries of the Argentinian writer Bioy Casares that Bioy himself never intended for publication. Rey Rosa is suggestive rather than explicit, his narrator slowly despairing of ever finding the truth: When asked who his story is intended for, he finally replies, “maybe it’s just for me." Of a piece with the author’s Dust on Her Tongue (1992) as an exploration of political violence and its troubling reverberations.